Police operatives allegedly seized 935 grams of shabu with an estimated street value of P11 million from Jospeh Alburadora during a raid at his residence in Barangay Mansasa, Tagbilaran City at 8 p.m.on Wednesday. The former warden of the Bohol District Jail on Thursday said that the BDJ inmate whose name was implicated in the P11-million drug haul seized in Tagbilaran City is the “bosyo” or prison mayor of detainees in the facility. Jail Supt. Feilipe Montejo, who was reassigned to the Danao District Jail in Cebu two weeks ago, said that the inmate, identified by the Bohol Provincial Police Office (BPPO) as Jojo Aguilar, is being held at the BDJ for illegal drug charges. 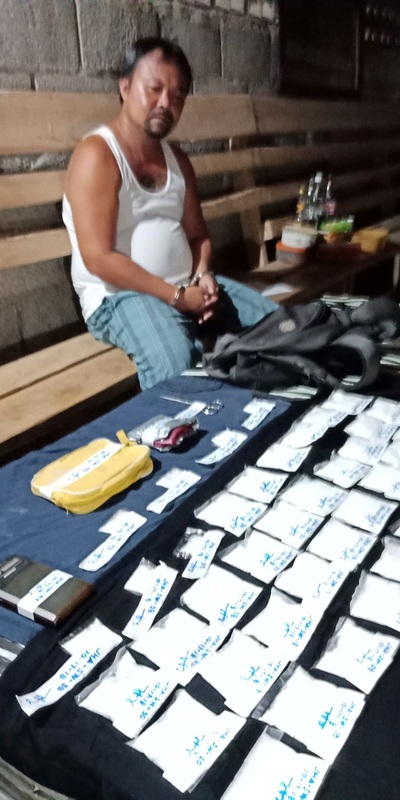 The BPPO Provincial Intelligence Branch (PIB), in a report, said that Aguilar “manned” the operations of Joseph Alburadora who was allegedly caught in possession of shabu worth P11 million during a drug raid at his home in Barangay Mansasa on Wednesday night. According to the new BDJ warden, Jail Chief Insp. Richard Tulabing, officials of the jail facility will be looking into Aguilar’s alleged continued involvement in the illegal drug trade. “Kanang ngalan nga Jojo Aguilar nga na link usa man pod na sa among inmate diri sa BDJ. Naa man pod mi intelligence diri nga na assign, so amo nang paningkamotan kon nganong na-link na siya, kung unsa g’yud iyang kalambigitan,” Tulabing said. Tulabing who exchanged posts with Montejo two weeks ago admitted however that he does not have information on Aguilar yet. “Kay bag-o paman pod ko diri so dili pa ko kaayo ka-istorya kabahin aning Jojo Aguilar. Pero ako ning pa-imbestigahan kay natingala pod ko nga nganong nasulod na siya diri unya na link ang iyang ngalan, nga siyay nag supervise? So wala pa ko kabalo anang hitabua,” Tulabing added. Tulabing noted that he will continue the anti-drug drive at BDJ. Officials will sustain the implementation of Greyhound operations at BDJ and further increase security measures for inmate visitors and even personnel of the facility, he said.